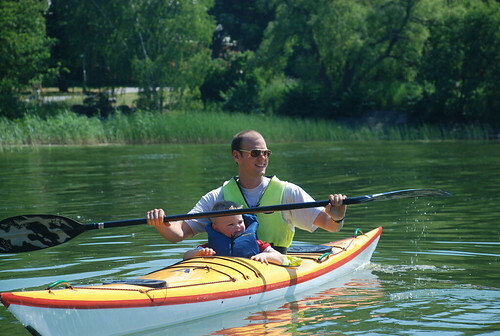 A father takes his son out for the first time in a kayak. What is not shown in the photo is his little daughter on the shore anxious to get her turn in the boat. 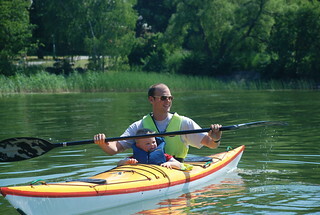 Brunnsviken Kayak Club, Stockholm, Sweden.